Welcome! Please peruse all the drop down boxes on the Menu bar. Any questions you may have, fill out the form in the Contact link on the menu bar. We hope to see YOU this year at Lake Tahoe for our 6TH ANNUAL ARTISTIC ALCHEMY RETREAT! From the team, Heidi, Sandra, Mary, & Jane. 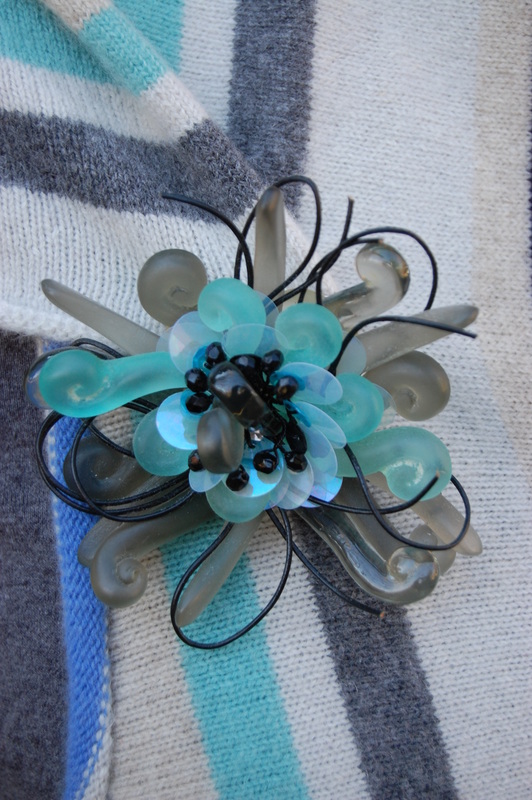 Heidi Emmett’s Workshop-Upcycling and Creative Art to Wear! By Heidi Emmett What a creative bunch I had for my workshop at our 5th annual Artistic Alchemy Retreat. Ahhh…the beautiful views from Zephyr Point below. We had an amazing time and it was just like I told you it would be, fresh air, great friends, lots of learning, and fun, fun, fun! Below are mainly pictures of my group of students. There is no particular order for the pictures. First, the intrepid teachers: Mary, me, Jane, & Sandra. We make up, Artistic Alchemy. Check out Janet’s upcycled sweatshirt. She was so excited to upcycle sweatshirts in the workshop that she couldn’t help herself. She had to try one BEFORE she came. Love it! Susan, one of my students, won a complete painting package from Dharma Trading. There were many, many, FABULOUS giveaways at our 5th annual Artistic Alchemy Retreat! 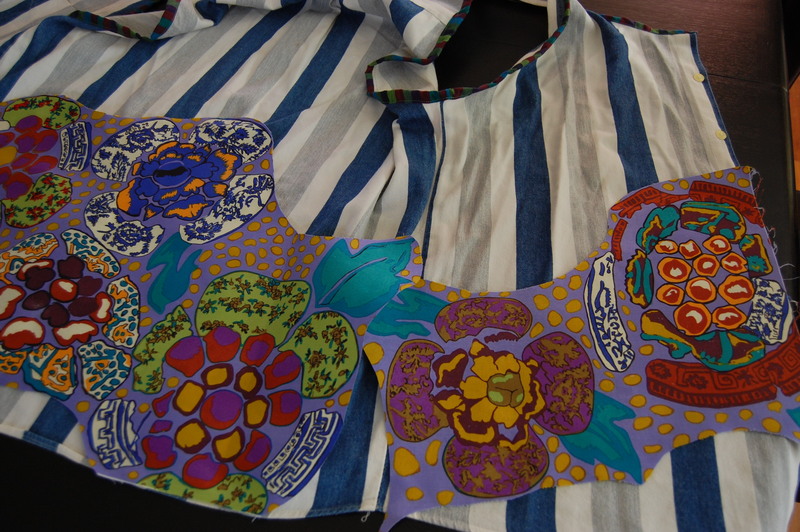 Sharon had some painted pieces and favorite fabric pieces that she wants to incorporate into her sweatshirt. Great idea. The almost finished sweatshirt project will show up again in another picture. Kathy is just thinking (not praying, or sleeping) about fabric placement for her Off The Grid vest from the “Art to Wear” portion of my workshop. 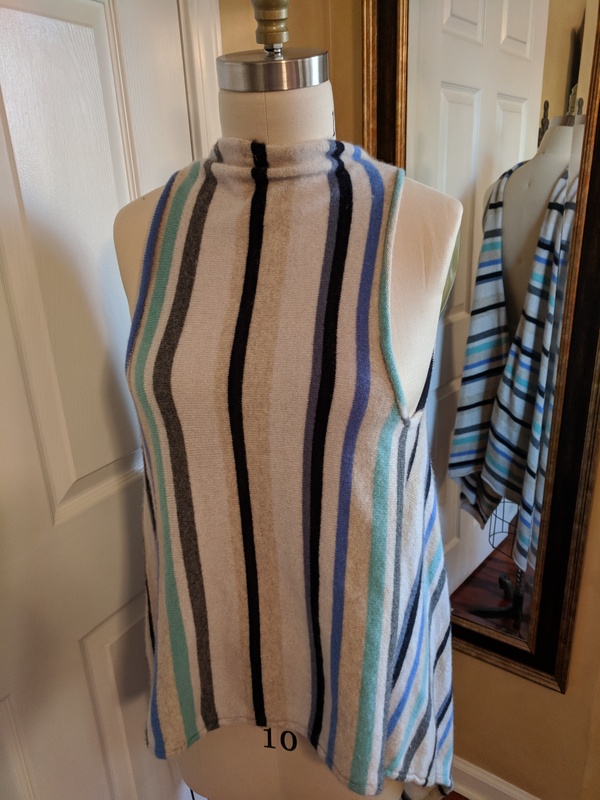 Here I am wearing my pattern called “Off The Grid Vest” This pattern is a perfect choice for this retreat as you will have plenty of time to work on your own version. Her bright colorways really pop on the black fabric. Garments are beginning to go up on “The Wall.” Kathy’s almost finished sweatshirt (gray one on the left), makes use of her leftover blocks from a quilt.Love that! Aprons from men’s shirts. Sweat shirts, their way. And I spy a Sparky Top and a Terrific Tabard. The dark gray sweat shirt has Sharon’s fabric pieces (from an older top she just loved so much,which I think is a great idea and I sure have a few of those myself). Very cool. She isn’t quite sure yet where they will finish (pieces still hanging off the bottom). It’s good to put them on a wall and stand back and think a bit. 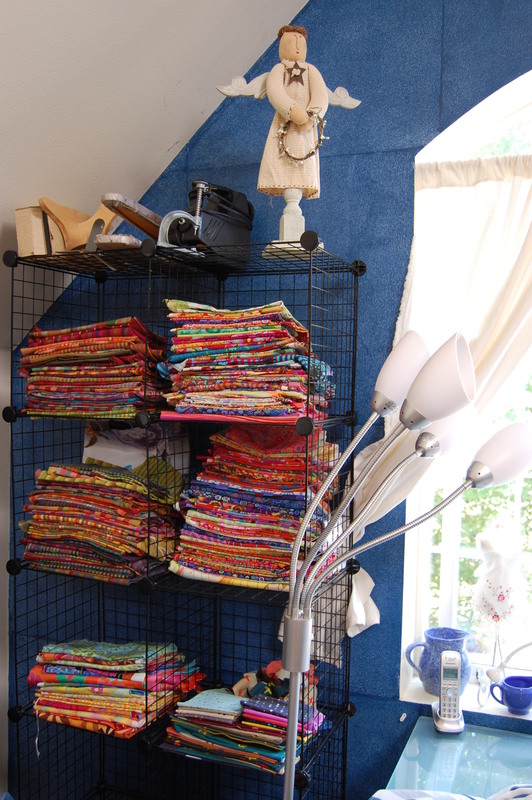 The Wall keeps growing.I spy another Terrific Tabard way over to the upper right. The Terrific Tabard on the left has some lovely ladies on it(Susan got those from England). Everyone really worked outside of the box and I was so proud of ALL my students. I can’t wait to see what they come up with next. Terrific Tabard on the right, Sandra had a rounded piece on one side and cut it off on the other. Why have I never thought to do that. Great asymmetric design idea. Janet, created an Amazing Sweat shirt, bottom right and I think she has 5 different shirts in the blouse above on the right. A glimpse of the dining room. The view, oh, we love that Lake Tahoe view. Sandra jumped right in to create an apron using sleeves only. Susan made her apron with contrasting fabrics for pockets and ties. I have to say that all my students have come full circle. When I ask what their first sewing experience was, the usual answer (for those in middle grades) is an apron. And they didn’t have fun at all. Whaat? Look at all the smiling faces, and we’re working on APRONS! But these are NOT YOUR MOTHER”S aprons. What a hoot. We all had a great laugh over this. Susan whipped up her first apron so fast, that she made a second one using the men’s sleeves only. 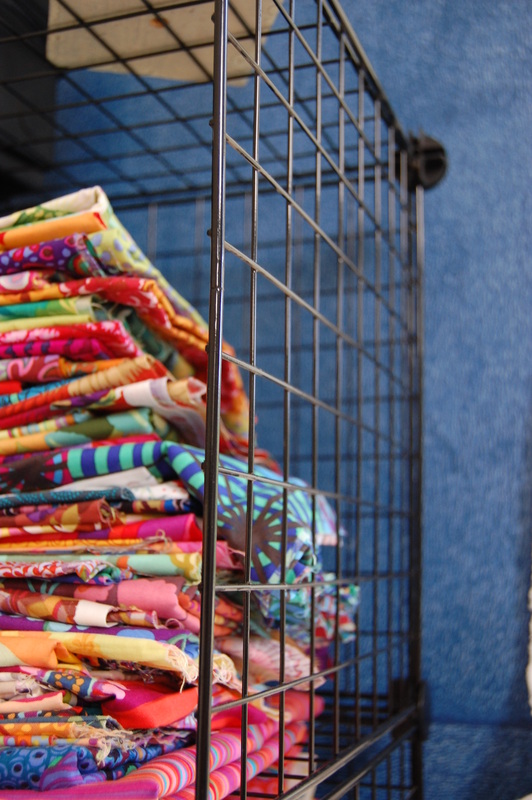 All sewing rules pretty much go “out the window” as we create these one-of-a-kind pieces. My students were so great this year (as in other years too!). I learn so many good ideas from them. It’s always a fabulous meeting of the minds for all of us. All of A.A. Retreat teachers are in the planning stages for next years 6th Annual Artistic Alchemy Retreat. I have been doing more upcycling since returning from the retreat(considering some new additions for my workshop). I want to show you a really simple idea AND I invite you to hop on over to my companies blog: DesignsbyHeidi.wordpress.com to see all the different things I LOVE to do! Look at the vest below. Now, REALLY look at how it is placed on the mannequin.Scroll down one more picture and see it out flat. 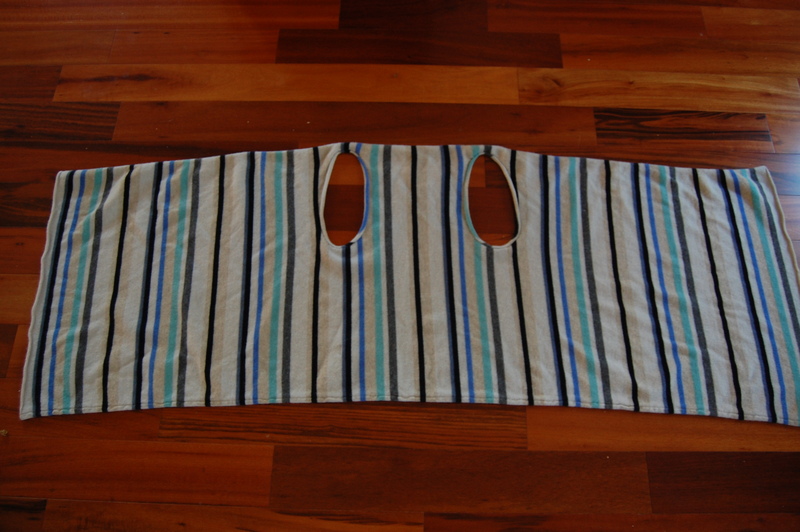 Basically, put your hands one through each hole with the middle sweater section across your front. The long ends are now going to your back. Bring one corner edge across your back, over your shoulder and to your front just a bit over your shoulder. Pin in place with a cool pin (this one is by Orna Lalo). So simple and chic. Rushing to Get it All together And THEN—– IT Happened! Wow, it was hot in my attic studio that day. 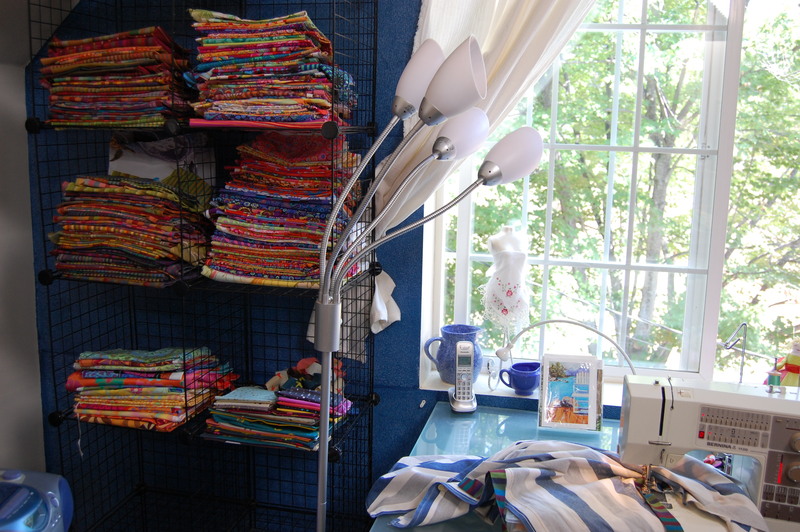 I was working on a project for the “Upcyling” portion of my workshop.To the left of my sewing machine I store all my Kaffe Fassett fabrics. One-handed, I reached in for the perfect piece (in the middle of all the cubes) for my current project. Hmm..it wont come out. I’ll just give it a little tug…You guessed it! 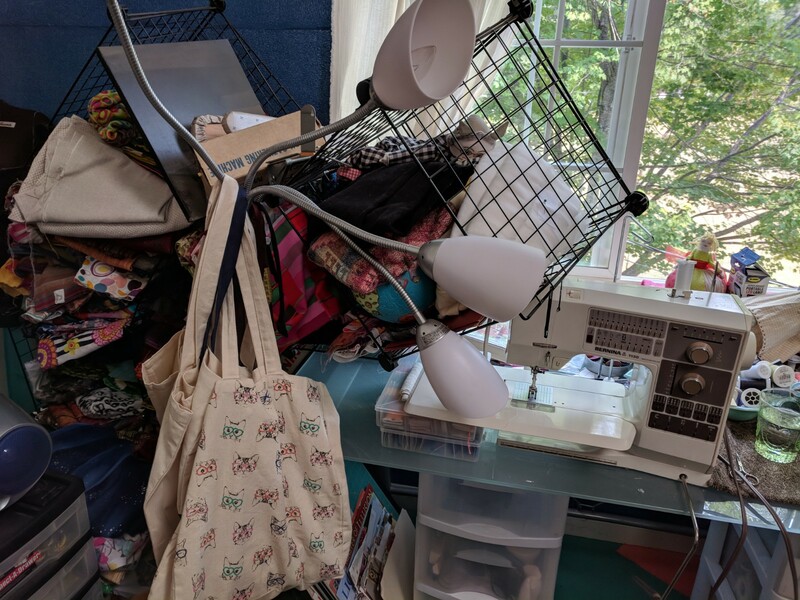 I watched my “tower” of fabric and large sewing notions in S-LO-W motion, CRASH! ON TOP OF MY SEWING MACHINE! I just stared at it. I didn’t even say bad words because I knew that it was never IF the whole thing would fall, it was WHEN! 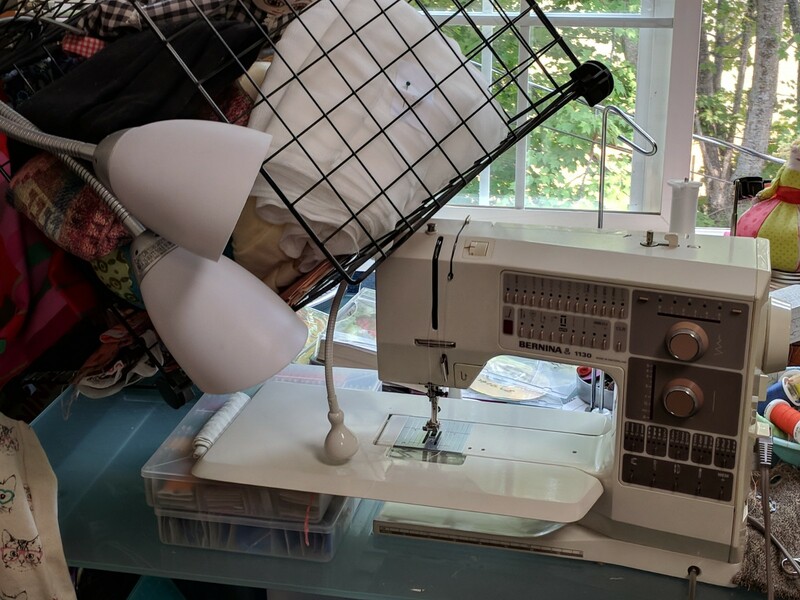 And then I saw my sewing machine. Thank you Lord! The metal from the cubes rested in just the right place on my sewing machine. Machine is SAFE and FINE! It’s old, but runs beautifully, and does everything I need a machine to do. I’m sorry, once again I am not able to write above each picture. So I must tell the rest of the story here and you can scroll down for the rest of the pictures. I must say, just cleaning and rearranging that small area has put me in a new, quiet, relaxed place. I also show one picture of an “upcycling” project I was working on at the time of the crash, using a large scaled fabric and a man’s shirt. It’s too funny, I don’t remember WHAT piece I HAD to HAVE when the accident occurred! Email me: hmemmett@gmail.com for a fast way to order this pattern. I’m going for a whole new look (than the cover shot above) with the linen blends I got from Bernie’s Etsy shop. Let me show you what I did to create a sophisticated and smooth Terrific Tabard. I started with these linen blends from Bernie. I absolutely LOVE linen! And these two linens will work with ANY other color or colors. 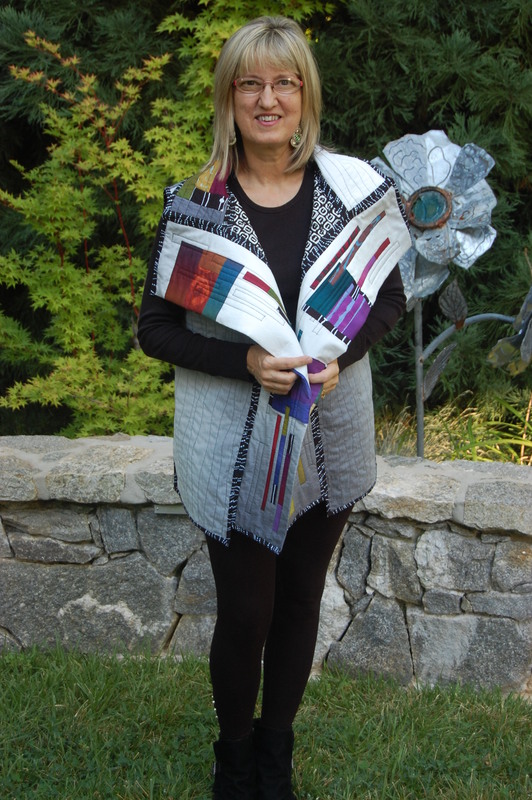 I went to Quilt Market in Portland, OR this past May and was able to buy the black/colored panel by Marcia Derse. This panel wont be available until October. I also snagged some very small pieces from Marcia’s newest collection, again available in October. My linen is sooooo perfect with some of these prints. Most of my patterns have tissue pattern pieces included (they always include many sizes in one). Notice I have folded out some of the tissue (closest to the side area). I am making use of every teeny, tiny, bit of this panel. I want to use as little as possible so I can make something else. I pinched out some, but now I have to fill it back in with something. I first cut the panel apart near the pinched out area and in the shoulder area. Tip: Always cut wherever you pinch it out. It is a fun and creative trick. I cut up a few of those colorful pieces and sewed them together and stitched them to either side of what I cut apart. I started with the red/orange piece (at the top of the shoulder area). Always line up other seams and plan to have extra on either end to trim off. I do not like to run short. Below I will just snip, snip, the red-orange fabric off in line with the shoulder seam. While I let the fashion layer dictate what each section will look like, I always, ALWAYS, strive for a long and lean look. I want your eyes to see the whole design in an up and down fashion. Never, side to side. I wanted to keep the back simple. So I added just a few strips of fabric. Two more Marcia Derse’s and one of the Linen. I cut out the sizes I wanted and pressed the edges under all the way around each piece. Remember, up and down, up and down. Edge stitch each piece all the way around. At the point you see below, in any other “quilted” version of Terrific Tabard, I would be adding batting right now (or before the shoulder seams were stitched together) and quilting all the pieces. Then the vest would be finished off with quilt binding trimming (albeit much narrower than a quilt binding). All those instructions are included in the pattern (you saw it at the very beginning). But THIS vest will have no batting. And it will be lined and not bound. This version really goes together quickly. The two front lining pieces are “Grunge” in black. The back piece lining is a very old (no longer being made) Kaffe Fassett stripe. Pin right sides together and stitch all the way around using a 1/4″ seam allowance. Be sure to leave about a 6-8″ opening somewhere on one of the sides. Very carefully grade the seams on the curved portions. Grading just means trimming one piece smaller than the other. When you turn the whole piece inside out and begin to press, press, press (that’s the secret to a beautifully lined piece), all the rounded edges will fall into place as you press. Tip: On dark fabrics use a press cloth (a piece of muslin works) on top of the fabric before you press. Sometimes you get a shine, even on linen. I have a rather large collection of buttons. Here is a group of Polymer by Sandra Bruce. She also sells earrings and pins. Check it out: SandraBruce.com I just buy what I like, knowing that someday, I’ll have the perfect button for a project. Forget buttonholes. 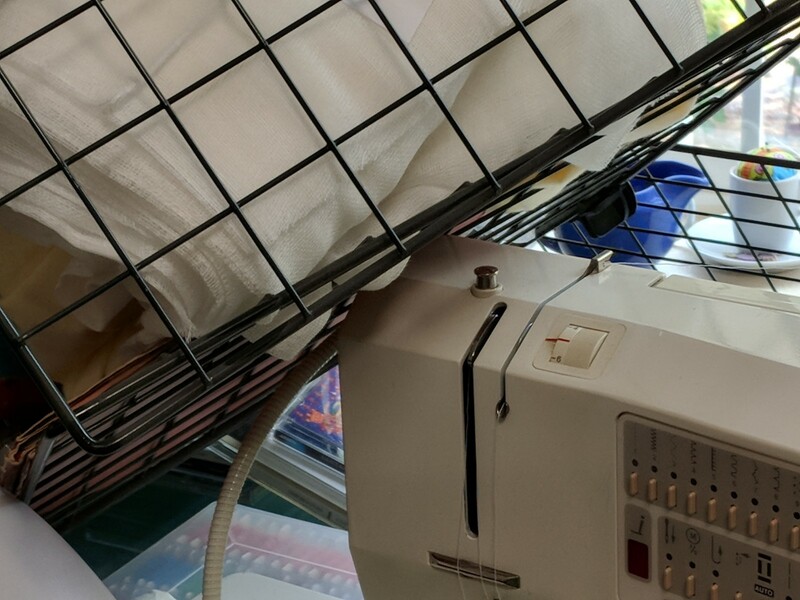 I use strips of fabric that have been folded and pressed and stitched into place as tabs to hold the button in place.. You’ll see this in a few pictures down. I love my new vest. I can’t wait to wear it (not sure when since it is summer! ), but I’ll be ready when the time comes. The button I chose is very intricate and it’s really BIG, but I think it blends in nicely. The two side buttons are from my glass button stash. I know, I know, it’s a sickness, but one I don’t want to get over. Ha, ha. 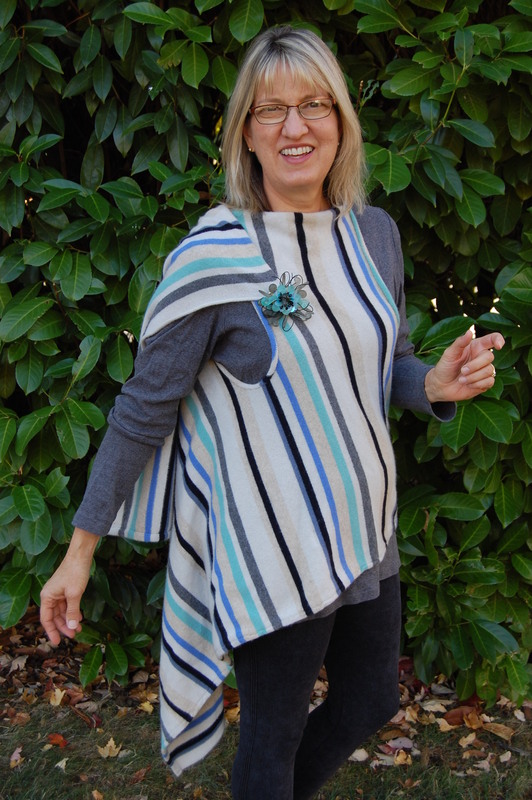 One last way to style this Terrific Tabard, fold back just one side. I wore my newest Sparky Top to town this morning. Wore it while mailing off the other two Sparky Tops in my hands. 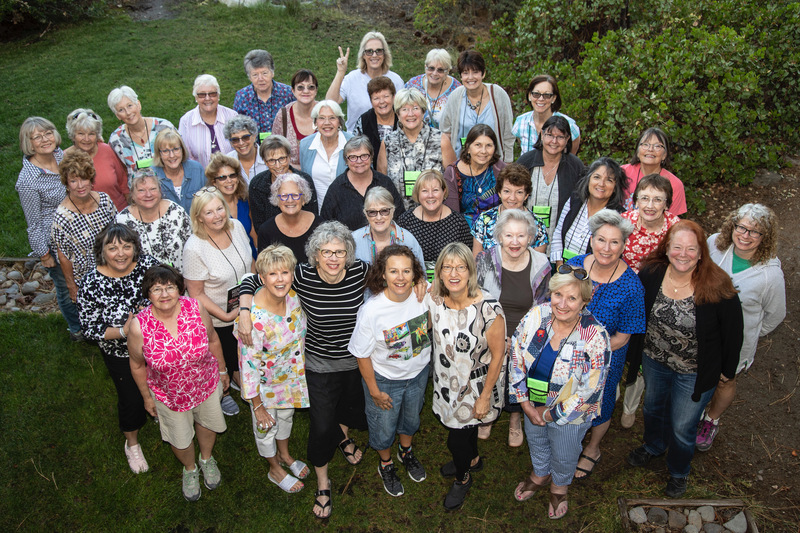 They go to the two special ladies who got me into Quilt Market, and have helped spread the joy of my pattern line to other Shop Owners around the country. Thank you!!!! Sharon & Carol. You two are the BEST! 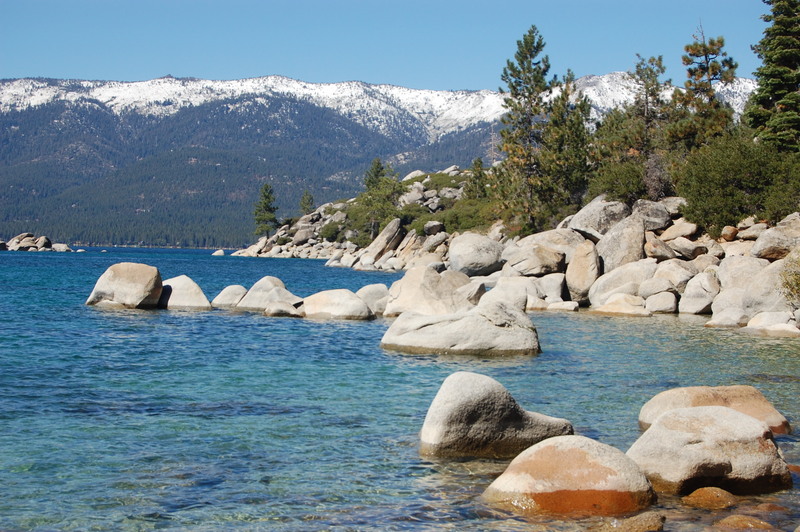 Zephyr Point, Lake Tahoe, Nevada, USA- Savor Each Moment You Are There! A week at a time, during the summer months(this year 3 x’s), my husband and I go to Zephyr Point at Lake Tahoe to work in the “Bear Necessities” gift shoppe. Robert runs the Frozen Yogurt Machine and I do the retail end, selling T-shirts, etc. We are going by Sand Harbor, a place that on one side is a boat launching spot and waaay around the other side is a Huge amphitheater for Shakespeare and other plays right on the lake and next to that a beautiful sandy beach. Yes, I took this picture from the car (a teeny bit blurry) but this sight means we are only 22 more minutes from Zephyr Point! Can you believe it, this lovely picture was in the Safeway parking lot at King’s Beach. Our first night at Zephyr out on our deck. The Multi-million dollar view. And it just got better and better. Sunset, 8:22p.m. Commercial break, “Sparky Top” has become my TOP selling pattern. I am so excited. It has been out for only 8 weeks and wow! Thank you all who have purchased it. 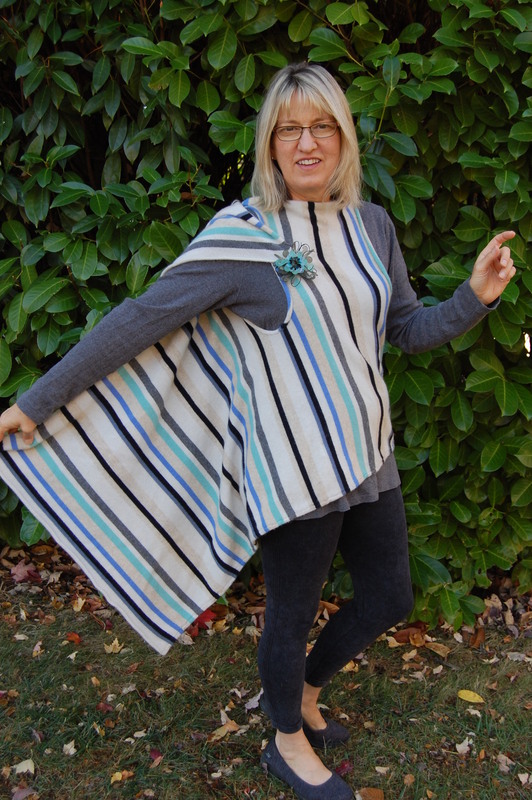 It is really fast and easy to make with many options (fabric choices that is) to make your very own signature “Sparky Top”. Email me at hmemmett@gmail.com for more information on how to purchase a pattern. I made three more before coming up to Zephyr. I love taking pictures on the dock of the private beach. Some tips for your upcoming making of a Sparky Top: 1. Buy garments ( at the thrift store) just for the fabric. I have been going a little crazy lately on garments for my black and white collection. Below, the front piece of the S.T. I’m wearing was cut from a skirt. The skirt had a black band at the bottom. I realize that the band is NOT running in my usual “long and lean” look (as in up and down), but I think it works because this front piece is flat, shorter than the back and the piece itself has it’s own built in long and lean look to it. I also made sure to have a black polka dots as the side pieces. That black piece looked lonely so I added a piece of beautiful black cotton lace (from a sleeve of a black blouse). The back piece (near the shoulders) on all three S.T.’s are fabulous pieces of lace. Each back piece was cut from 3 different dresses. 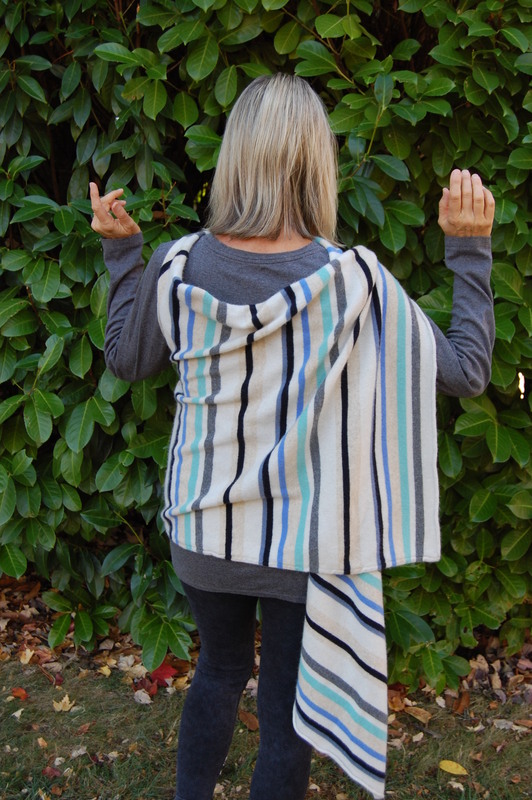 2: If you have broad shoulders, consider a piece of knit for the back piece. The stretch in the knit will give enough room so it doesn’t feel tight. 3. I also suggest LIGHT weight knits (for one or all of the pieces). 4. On the back shoulder pieces of all three of these tops, I did place an underlining of fabric to show off the beautiful lace patterns. One day we drove the Kingsbury Grade (over 7200ft at the summit) to check out the eastern side of the Sierra Nevada Range. On the right side of the picture below, see the long lines in the mountain, that is the back side of Heavenly Valley Ski Resort. During the summer you can ride up on a Gondola (starting at Lake level) and see FOREVER as you travel up the mountain. We were able to stand (after a little hike) at the highest point of that mountain (9500ft. +) and get a 360 degree view. The term Heavenly is perfect. I tried for a close up as we are traveling down, down, down, into the Carson Valley. Phew, we made it. This picture is right outside the teeny tiny town of Genoa, Nevada. It’s the oldest town in all of Nevada. Came to be because of the Silver mining in the middle 1800’s. Back at the store, here is a young one (he’s five as you can see)in for his daily dose of frozen yogurt. I asked if I could take a picture of his shirt. I like the concept and told his dad that his shirt would make an interesting quilt/or section on an art to wear piece. Reverse applique’. Oh yes, he insisted on my taking a pic of his lost teeth. What a cutie. Shortly after, a young man staying in Lakeview Lodge for a family reunion, wore his tie-dyed (with bleach) t-shirt into the store. The original black is right behind him. Very stylin’. Turns out I knew the Matriarch of the family reunion. She even taught at my fabric store a hundred years ago!! What a small world. To start up the store each morning, we had to walk to the top and pick up the bag o’ money. We would walk up and down “Robyn’s Flight” to get there (150+ stairs). At 6400′, I always take those stairs V-e-r-y slowly so I don’t pass out, ha, ha! 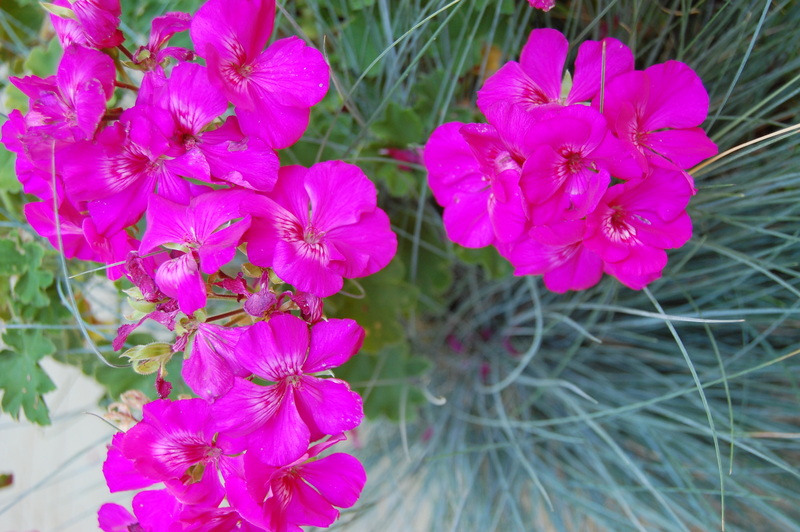 I enjoy the view and take pictures of the flowers that grow in the stone boxes on the stairs. The roof of the cabin to the left is where the director lives. Can you EVEN IMAGINE waking up to this stunning view every single day!!! This Dianthus looks like a fireworks display. Love the wood shutters on the Bear Store. And that wraparound porch. The BEST part. Snap, snap,(camera sounds) walk a few more steps, and…. snap, snap, some more. The incredible vistas, never end. Good thing I have a digital camera. Oh dear, I think I’m giving away my age. Ha, ha. More Columbine. They look like shooting star fireworks. Who, Who?, or more like What, What? is this? I bought a little bag while Thrifting on our way up and around the lake. It is a poor, one eyed Owl, or is it winking at me? He’s so cute. He was a little bag, so I cut it out, gave him a bath, and hung him up to dry out on our deck. I’ll keep you posted on what I do with him. I have some ideas.